Couples were invited to renew their marriage vows May 6 during the annual Wedding Jubilee Mass at Rochester’s Sacred Heart Cathedral. Anthony and Josephine Matroniano, who will celebrate their 71st anniversary July 26, were the longest-married couple in attendance. Bishop Salvatore R. Matano congratulates Anthony and Josephine Matroniano on their 71 years of marriage during the annual Wedding Jubilee Mass May 6 at Rochester's Sacred Heart Cathedral. 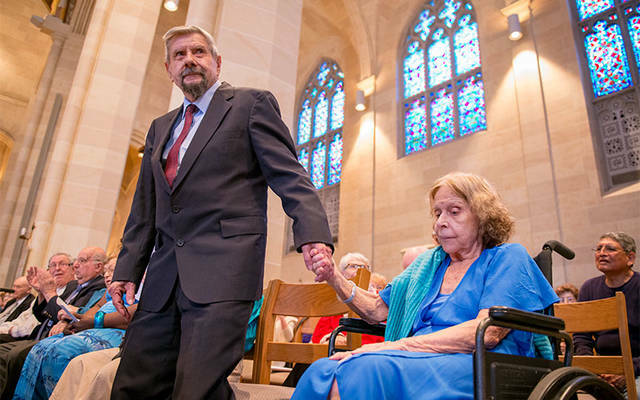 Bob and Dee Crowell, who have been married 69 years, hold hands during the Mass. Bob and Dee Crowell are recognized for their 69 years of marriage. Bishop Matano celebrates the annual Wedding Jubilee Mass. 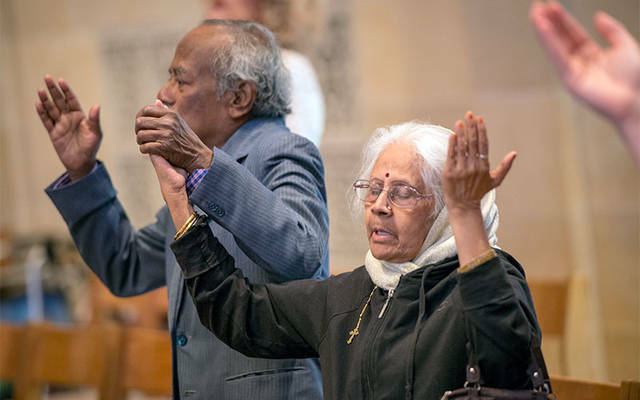 Isabella and Thiagaraj Nevis, who are celebrating 50 years of marriage, stand during the liturgy. Buddhi and Sheila Shrestha renew their vows after 30 years of marriage. Joe and Carol Autovino, who are celebrating 53 years of marriage, look on during Mass. A couple renews their wedding vows during the Mass.